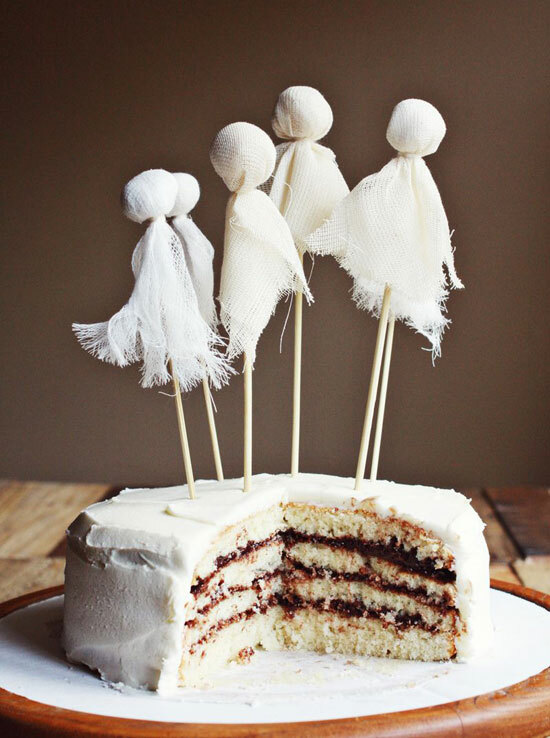 Here's a gorgeous ghostly idea - ghost cake toppers. Just some skewers, cotton balls, cheese cloth and thread. It's so simple its scary! Check out A Beautiful Mess for the wicked recipe.